The individuals listed below are independent, voting members of the Forté Board of Directors. Forté is proud to have a dynamic team of knowledgeable, highly experienced and successful business people who provide invaluable direction and advice. From distinguished board members to energetic partners, volunteers and staff, they help us honor our mission: to launch women into fulfilling, significant careers through access to business education, opportunities, and a community of successful women. Beverley Babcock is the retired CFO of Imperial Oil Limited. 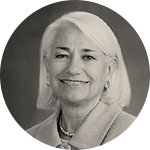 Beverley previously served as the Assistant Controller of ExxonMobil and its Vice President of Corporate Financial Services. Over her 31-year career with Imperial and ExxonMobil, she has built expertise in organizational leadership, strategy and corporate governance. Beverley is a dual citizen of Canada and the United States. She holds a bachelor's degree from Queen's University and Masters of Business Administration degree from McMaster University, both in Canada. 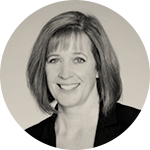 She is a member of the Chartered Professional Accountants of Canada. In 2014, Beverley received a Breakthrough Woman award from the Greater Houston Women’s Chamber of Commerce. Beverley is married and the mother of two sons. Cynthia graduated from the J.L. Kellogg Graduate School of Management with an MBA in Organization Behavior and Operations. She also has a Bachelor of Industrial Engineering from Georgia Institute of Technology and a Bachelor of Science from Spelman College. Cynthia is married and the mother of four children. Alice Davison is a senior HR manager with responsibility for global Investment Group Recruiting and a vice president of the Central Services Division for The Capital Group Companies (CGC). She has previously served as a general human resources manager for CGC's east coast offices, a fund administrator and consultant for Capital Research International, and the coordinator of The Associates Program (TAP). Alice was a TAP participant before attending graduate school. Alice received a bachelor's degree in economics from Bowdoin College and an MBA with distinction from New York University’s Leonard N. Stern School of Business. She is a Trustee of the Far Brook School in Short Hills, New Jersey, a volunteer at the Lawrenceville School, and involved in area admissions for Bowdoin. 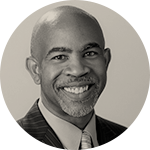 Dr. Gary Fraser is currently Associate Dean for Diversity and Inclusion at NYU Stern where his focus will be on Inclusion, Diversity, Belonging, and Equity for all members of the NYU Stern community. Most recently, Dr. Fraser was Assistant Dean of Full Time Student Affairs at the UCLA Anderson School of Management responsible for overseeing Academic Affairs, Student Engagement, and Leadership Development. Prior to that, Dr. Fraser was an Assistant Dean at the University of Southern California’s Marshall School of Business and has also served as Dean of Students and Associate Dean of Student Affairs at NYU Stern. He received his Ed.D. from the University of Pennsylvania, his MBA from NYU Stern, and his Bachelor of Science from Syracuse University. In addition to serving as a board member for the Forté Foundation, Dr. Fraser is Board Chair of Collegiate Charter High School in Los Angeles and has previously served on the board for the L.A. chapter of Minds Matter. In her non-profit work, Edie is Chair of the board of Women’s Campaign International, on the board of Phillip’s Academy Charter School in Newark, NJ, a founding board member of New Jersey Needs You, and is very active in her Jersey City community being Treasurer for her church, a board member for the modern dance company Nimbus, and on the board of the Jersey City Fund for Excellence and Equality, which provides financial resources for the betterment of the Jersey City public schools. Edie earned an MBA from The University of Chicago and BA and BS degrees from the University of Pennsylvania. 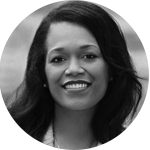 Nicole Irvin is a Vice President in the Technology, Media and Telecommunications Investment Banking Division at Goldman Sachs. Prior to joining Goldman Sachs, Nicole was a partner at Andreessen Horowitz, where she focused on all efforts to support Andreessen Horowitz’s late-stage companies in preparing for the option to access the public capital markets. Prior to joining Andreessen Horowitz, Nicole was an investment banker in Morgan Stanley’s West Coast Investment Banking Division for seven years. Her experience includes the IPOs of Arista Networks, Barracuda Networks, Box, FitBit, GoDaddy, Lending Club, MobileIron, Splunk, Veeva Systems and Workday. 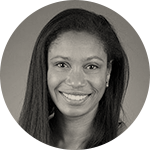 Prior to Morgan Stanley, Nicole worked for seven years as a management consultant for Accenture in their Global Customer Relationship Management practice. Her work at Accenture included New York City’s greenfield 3-1-1 call center project. She has a MBA from Columbia Business School and an AB in Molecular Biology from Princeton University. 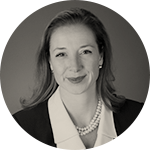 Lauriann is a member of the Adams Funds Board of Directors. The company manages two of the country's oldest closed-end equity funds, both of which are listed and traded on the NYSE. 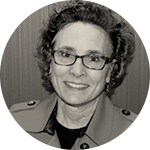 Previously, Lauriann had a rewarding 30+year career at Loomis Sayles. During her tenure at the firm, she worked as an equity analyst, Director of Equity Research and Director of Large Cap Equities. Until her retirement in 2013, she was the Chief Investment Officer for the Equity Group, responsible for its strategic direction and investment policy. She was also a member of the Board of Directors for thirteen years and served on the risk management, new product, ethics and diversity committees. In addition to serving on the Forté board, Lauriann is a trustee and investment committee member for the Trustees of Donations for the Episcopal Church, the investment committee for the VNA of Chittenden and Grand Isle counties in Vermont, the Loomis Sayles pension and retirement committee and serves as an advisor to the student led investment fund at Champlain College in Vermont. Lauriann earned a BA in economics from Wellesley College. Karen Korn is Senior Vice President, Investment Services, within the Professional Services Group of Fidelity Investments, a diversified financial services firm that makes financial expertise broadly accessible to people investing their life savings, businesses managing their employee benefits and advisors investing their clients’ money. Since 1946, Fidelity has been helping people live the lives they want through its customer-centered approach, innovative technology and investment solutions. In her role, Ms. Korn is responsible for the oversight, development and strategic direction of investment-related teams supporting both workplace and personal investing, including Research and Investment Consulting for workplace plan sponsors and advisors, Trust Services and Administration and Investment Data Management and Support. 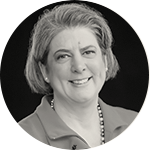 Prior to joining the Professional Services Group in 2016, Karen served as a Director of Research in Fidelity’s Strategic Advisers division for four years and a Managing Director of Research in Fidelity’s Equity division for six years. 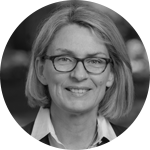 Prior to Fidelity, she was a Principal and Director of Research for Essex Investment Management Company for four years, and held a variety of positions at Putnam Investments over a seven-year period including analyst, manager of Global Fundamental Research and portfolio manager. 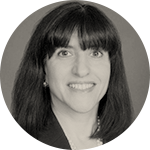 Before joining Putnam, she worked at Designs Incorporated as vice president and assistant to the president, and spent six years at Painewebber Incorporated in the corporate finance division beginning as an Associate and leaving the firm as Vice President. 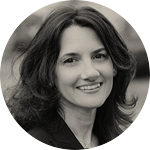 Rose Martinelli is a senior director at Huron Consulting Group based in Chicago. Prior to joining Huron in 2012, Rose spent more than 20 years in higher education, most recently serving as Assistant Vice President for Enrollment Management at the University of Chicago. Rose also served as Associate Dean for full-time MBA admissions at the University of Chicago Booth School of Business, and the Director of MBA Admissions and Financial Aid at the Wharton School of the University of Pennsylvania. She brings a highly analytical approach to enrollment and student lifecycle management along with deep experience in admissions outreach, marketing, selection and student retention. She specializes in helping institutions manage the challenges of enrollment management and student retention while balancing Net Tuition Revenue (NTR) needs. Rose received her undergraduate and master's degrees in Music from Northwestern University, and completed her MBA at the University of Chicago Booth School of Business. Caitlin McLaughlin is senior vice president and director of Total Rewards for The PNC Financial Services Group since April 2013, with overall responsibility for the compensation, benefits, workplace solutions, talent acquisition and metrics & analytics functions. McLaughlin joined PNC in 2009 as head of training and development for Corporate & Institutional Banking. In 2010 she assumed responsibility for campus recruiting; in 2011 was named director of talent acquisition; and in 2012 assumed additional oversight for metrics & analytics. Prior to joining PNC, McLaughlin was managing director and global head of campus recruiting and program manager for Citigroup. She held a number of roles within the organization and with its predecessor companies, Salomon Smith Barney and Salomon Brothers, over her 17 year tenure. McLaughlin is a member of the board of directors of Vibrant Pittsburgh and of the Forté Foundation. McLaughlin graduated from the University of Pittsburgh with a BA in Political Communications. Kathleen McQuiggan is a passionate invest in women advocate and wealth advisor at Artemis Financial Advisors. She has worked in Financial Services industry for over two and a half decades advising investors and helping clients at Goldman Sachs, Pax World Management, Alex. Brown and her own consulting practice, Catalina Leadership. Kathleen currently serves as a special advisor on gender diversity to the CFP® Board’s Center for Financial Planning, and is an active member of SheGives, Ellevate Network, Plum Alley Investments, Women Working for Oceans and the Dartmouth Natural Resource Trust. Diane Morgan is Global Managing Director of Trilogy Education Services. Diane leads Trilogy's global expansion by partnering with global universities and corporate employers to bridge the digital skills gap. She is passionate about providing access to education and opportunities and helping universities and employers build agile and pragmatic solutions to contemporary business challenges and opportunities. 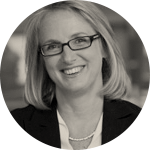 Diane is former Associate Dean of Programmes at Imperial College and London Business School. 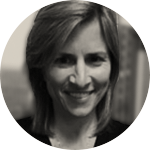 She has held a range of marketing and business development positions at The New York Times, The Washington Post and NYU Stern School of Business, always based in education. She has her MBA from Columbia Business School. 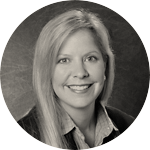 Sara O'Reilly currently serves as the COO for the East Region of A&M Consulting where she is responsible for helping scale the operations of the region, and also manage the people and financial processes. Previously, Sara managed Deloitte Consulting's Women's Initiative (WIN) where she focused her energy devising and executing strategy on the critical business issue of attracting, developing, advancing and retaining top female talent within Consulting to drive marketplace growth. Sara spent ten years as a consultant specializing in the management of large mergers and acquisitions. She helped client organizations design, plan and execute complex M&A projects including integrations, carve-outs and start-ups focusing on transformational change, employee impact, realizing synergies and building a platform for growth. In this capacity Sara served a variety of clients within the financial services, healthcare and energy industries both in the United States and internationally. Sara holds her Bachelor of Science degree in biology from the University of Illinois at Urbana-Champaign and her MBA from Lancaster University, UK with a specialization in international strategic alliances. 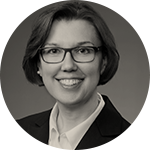 Elizabeth Philipp, CFA joined Capital Dynamics in 2018 where she is head of business development for North America, focused on private equity, debt and infrastructure investments. She was previously at Angelo, Gordon & Co. as a Managing Director and partner in institutional client development and consultant relations. Additionally, Elizabeth was with PIMCO for 18 years, most recently as Executive Vice President in institutional client management. While at PIMCO, she managed the firm’s New York office and was a client strategist for public, corporate and non-profit clients and a product manager for emerging market and real return strategies. Previously, she worked in derivatives trading and as a credit analyst at Bank of America. Elizabeth is a CFA charter holder, and holds a B.B.A. degree from the University of Iowa and an M.B.A degree in finance and international business from the University of Chicago Graduate School Of Business. Uta Werner joined HP Inc. in 2017 as Global Head of Print Strategy and Emerging Business, where she is focused on identification and evaluation of key profitable growth opportunities. Previously, Uta was the Chief Strategy Officer at Signet Jewelers, the world’s largest retailer of diamond jewelry where she established the company’s first Corporate Strategy Office and also led the Transformation Leadership Team (TLT) to realize acquisition integration synergies. Earlier, at Nielsen, Uta was responsible for the global P&L of a ~$200MM Advanced Analytics business, providing Consumer Products Manufacturers and Retailers with solutions to optimize assortment, shelf space, price and promotion at the consumer, store and local market levels. Drove transformation from a consulting-based to a SaaS-based subscription model and created platform for consolidating Nielsen’s Sales Effectiveness businesses. From 2010 to 2013, Uta was Chief Strategy Officer for Xerox Corporation, responsible for leading Xerox’s strategy development and management process, and the Corporate Strategic Intelligence group, driving the company’s transformation from technology supplier to business service provider. Before joining Xerox, Uta accumulated over twenty years of experience as an advisor to large global corporations and investment management professionals. As a Partner with Marakon Associates, she worked with top executives of a number of Fortune 200 companies in multi-year engagements to achieve strategic transformation for materially higher profitable growth and shareholder value. From 2006-2009, Uta then served as a senior sell-side analyst at Sanford C. Bernstein & Co., LLC covering large-cap U.S. broadlines retail companies. Uta earned the equivalent of a Master of Science in Mathematics and a MBA, both from the RWTH Aachen, in Germany, as well as a Master of Public Administration from the Kennedy School at Harvard University.